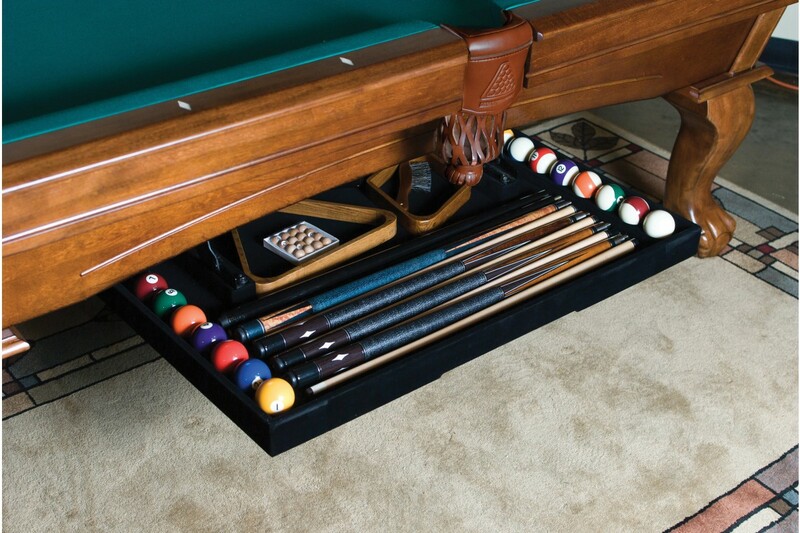 The Perfect Drawer is an optional pool table accessory that allows you to maintain a clean and elegant look by storing all your billiard accessories safely inside the easy access Perfect Drawer, hidden under the table. 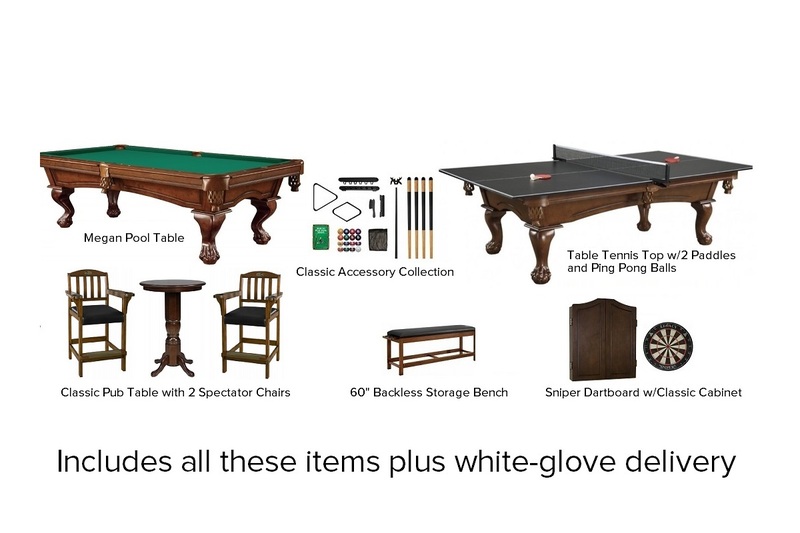 Get your game room ready for action with this package deal, including a pool table with a ping pong conversion top, a pub table with two stools, two spectator chairs, a storage bench, a dartboard and cabinet, and the accessories you need to get your game on. Offenbachers Home Escapes is proud to be the Washington, DC area’s exclusive provider of pool tables by Legacy Billiards, a highly reputable manufacturer of high-quality, handcrafted, durable and beautiful game room products. Available in 7-ft. and 8-ft. Available in 7-ft, 8-ft and 9-ft. Available in 8-ft and 9-ft.